»gold»Does Your Jewelry Make You Itch? Does Your Jewelry Make You Itch? Believe it or not: It’s possible to be allergic to some jewelry. I’m definitely allergic to most! The itch comes from an allergic reaction to some metals such as nickel. One out of every seven people is likely to suffer from a nickel allergy. The nickel found in many types of jewelry is; therefore, the cause of most forms of dermatitis (skin inflammation). More women than men tend to suffer from nickel allergies, perhaps because, women tend to wear more jewelry than men. 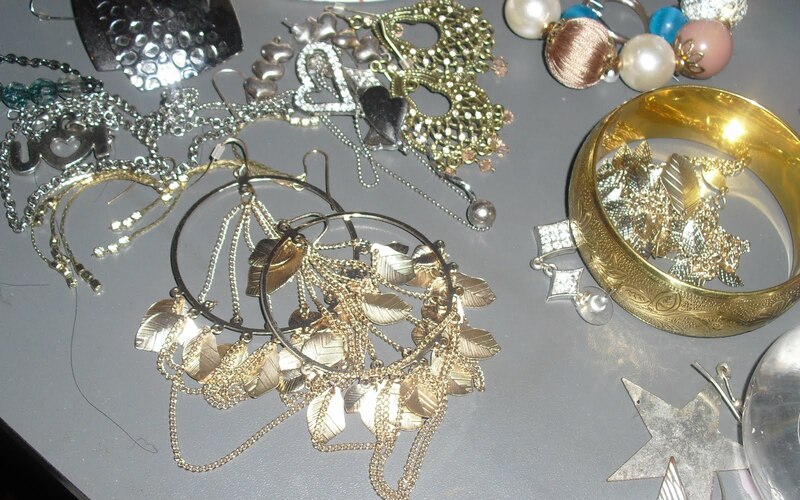 If your jewelry is making you itch perhaps you are allergic to the “Nickel” or some other metal. This means, you’ll have to search for jewelry that doesn’t contain metals you will react to. Which jewelry metals do not contain Nickel? Rarely will jewelry made from 14K yellow gold cause an allergic reaction. However, white gold may irritate those with sensitive skin because white gold contains nickel and other “white” metals to produce its silver coloring. Gold-filled jewelry is made by heat-bonding a layer of gold around a base metal. Gold-filled jewelry has a layer of gold that is 75 to 200 times thicker than most gold-plated jewelry. Fine Silver is 100% pure silver. Sterling Silver is 92.5% Silver and 7.5% Copper. Sterling Silver is a perfect alternative for people with nickel allergies. Almost all copper jewelry is made from 100% copper and is not mixed with any other metal. Platinum contains 95% Platinum and 5% Iridium. Platinum is a great alternative for those with skin allergies. As much as 8 to 12% nickel is used to make stainless steel jewelry. Caution should be taken when considering stainless steel jewelry if you have skin allergies. Titanium is both hypo-allergenic (having a low tendency to cause an allergic reaction) and durable. It’s one of the best metals for those who suffer from nickel allergies. Beads and fishnet thread. No metal in it at all thus no allergic reaction. Do a little research on the jewelry you wear and ask the right questions when you purchase it. You’ll be able to wear fashionable jewelry without risking an allergic reaction.